Our guide to Kennebunkport will help you find the best bed and breakfasts in Kennebunkport Maine. There are tons of great bed and breakfasts in the city of Kennebunkport, our city guide will help you find the best bed and breakfasts. You may have a hard time deciding what to do in Kennebunkport, but we make your decision easy. 7 S Maine St, (207) 967-5424 - Whimsically intimate nightly accommodations in an idyllic cove-side setting, perfect for a romantic escape in Kennebunkport Maine. There are plenty more bed and breakfasts in Kennebunkport. 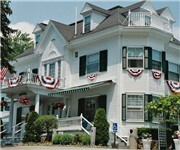 See all bed and breakfasts in Kennebunkport Maine.